It is very important to use engaging math centers during math workshop. 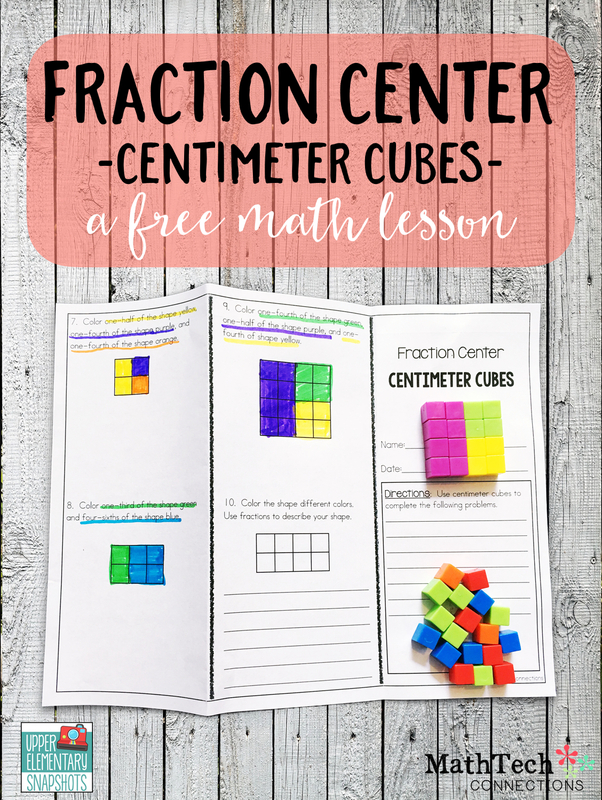 This math center is sure to be a hit, but be sure to use this lesson after students have been introduced to fractions. Students should understand what equal groups are (how to form and name each equal piece) and should be able to complete equal sharing problems. 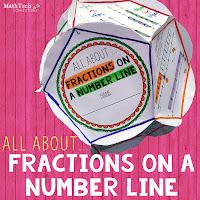 You will find an introduction to fractions here. 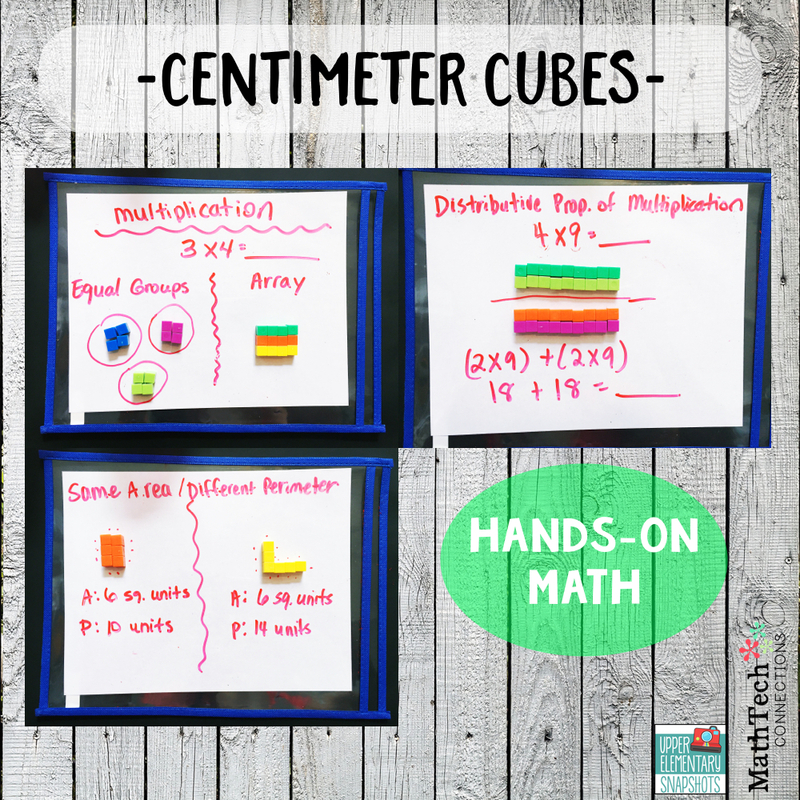 While organizing my math manipulatives, I found these centimeter cubes and thought they would be perfect to use during a fractions lesson. I typed up a tri-fold where students can use the centimeter cubes to solve some 'math puzzles'. On the first part of the tri-fold, students are given a fraction and need to build the whole. 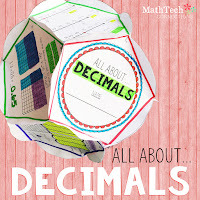 This section is a great time to review the meaning of numerator and denominator. For example, on problem one - students are given one-half of the whole. The bottom number shows that there needs to be two of these sets in order to create the whole. 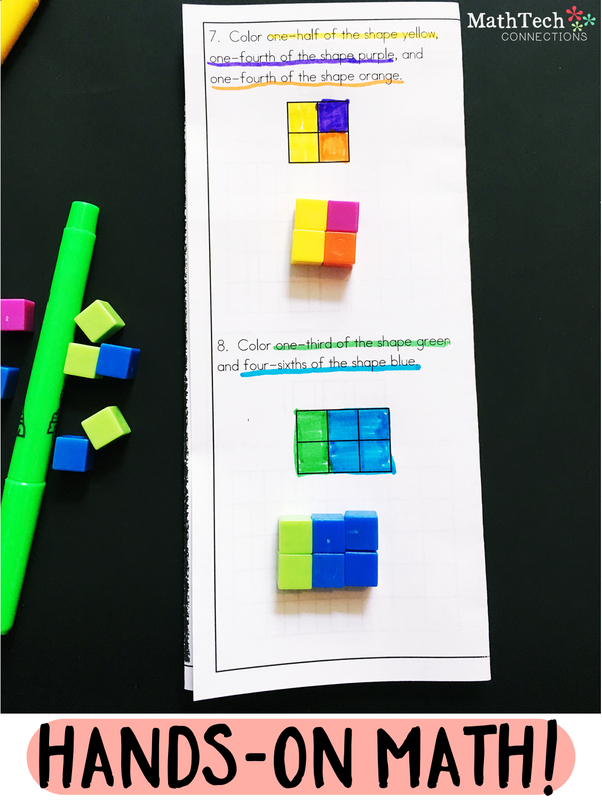 I created the one-half using green centimeter cubes and then double it to create the whole. one-fourth + one-fourth + one-fourth + one-fourth = four-fourths = one whole. On the second part of the tri-fold, students are given clues and have to color a rectangle based on the clues. A tip that I always tell my students is to change the word-form into a fraction. For example, on problem 8 they would write one-third as 1/3. 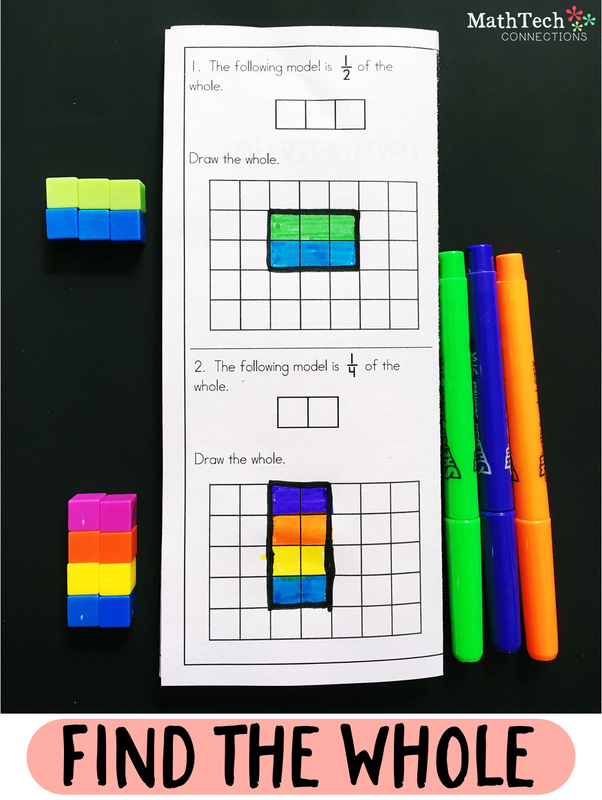 This will help them 'see' that they need to divide this rectangle into 3 equal pieces (columns). They then color only one out of the three columns green. 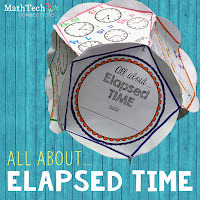 Students are sure to love these dodecahedron projects.